Wooden Stacking Nesting Boxes are a beautifully set of six boxes that stack one on top of the other. They also nest neatly inside each other. Each box is brightly decorated with numbers, colours, insects, objects and shapes. So there are plenty of opportunities for sorting, counting and categorizing. 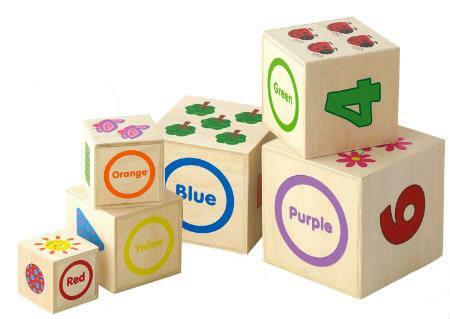 These wooden boxes are very sturdy and have multiple uses in the playroom. To hide and store treasures, a useful parking spot for toy cars and many more. We like this because: "So many different uses..."